In our perception of color, altering minor environmental conditions can have a huge impact. Variations in pupil size, the colors surrounding your sample, the illumination in a room, and countless other factors become involved. Perception of color even varies slightly from one person to the next, from one day to the next, from one space to the next. When you need colors printed accurately, you need colorimetric measurements. They’ve become a critical technique for global manufacturers who need parts produced in one part of the world to match labels produced in another. In short, they provide a sort of objective standard from which you can make comparisons. Colorimetric instruments provide those standards, ensuring you can get repeatability with your colors. Color is quantified by these instruments based on the notion that the human eye has three types of receptors: blue, green, and red. All the colors we observe are a mixture of these three primary colors. Colorimeters also usually are built with three photocell receptors which are roughly designed to mimic an eye. Within colorimetry, these RGB components are used as coordinates in the form of X-Y-Z. Colorimeters do this with the aid of a light source, a handful of photocells, fixed-geometry viewing optical device, and a digital processor that can connect to a computer. Actually using a colorimeter is generally no more difficult than placing it over some area you want to measure, activate the onboard light source, and accept the data readout. Digital coordinates may then be matched with color spaces defined by the Commission Internationale de l’Eclairage, or any other authority on color you want to calibrate by. Selecting a colorimeter is largely about understanding the type of materials you’re going to test. Are they flat, curved, metallic, or textured? Are they large or small? 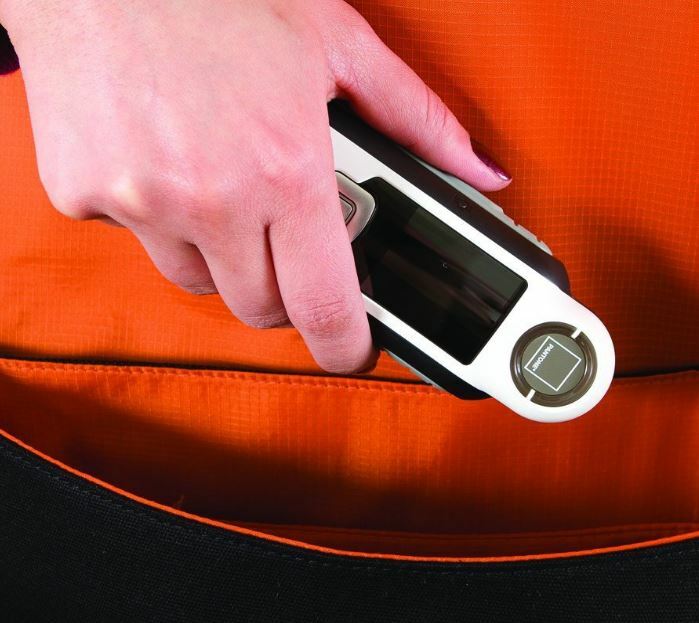 Are you measuring outdoors, or in places where samples aren’t easily handled without damage? In most cases, this can be as simple as reading the instrument itself because many colorimeters are built with a specific purpose in mind. 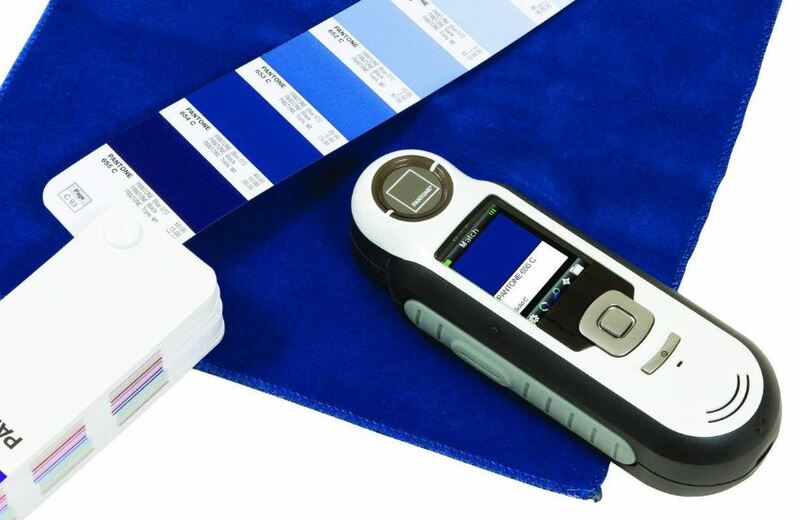 Even if you’ve got a specific purpose in mind, it’s not a good idea to simply look for a colorimeter that claims to be useful for your application. Get into the gritty details. How much precision do you need in your measurements? How much repeatability? Do you need to take advantage of special collections of color palate libraries? If you’re reporting data to a specific agency, you may find different standards used for testing and calibration. Those standards are usually prominently advertised whenever a manufacturer goes through the hassle of meeting them. The CAPSURE is a colorimeter with a pretty specific purpose. It’s been made with architects, designers, and home decorators in mind. The CAPSURE includes more than 8,000 PANTONE colors in its expansive color library, making it an obvious choice for anyone working in that color space. The Pantone CAPSURE Color Matcher is also great for analyzing multicolored textures and textiles, thanks to advanced image capture technology for heightened and repeatable accuracy. The CAPSURE uses an elongated and highly hand-held build, standing at 7.5 x 3.1 x 7.5-inchs. It’s fairly compact and easy to hold, and remains lightweight in your hands due to weighing only 1.3 pounds. The result is rugged while remaining compact. The CAPSURE is powered by a rechargeable lithium-ion battery. And because colorimeters aren’t exactly energy-thirsty instruments, it’s easy to get thousands of separate measurements from one charge. Moreover, ease of use is fairly simple for such a sophisticated instrument. The primary control console only consists of a four-way button pad, a central button and the power button. That makes learning to use and navigate the Pantone CAPSURE very simple to do. On each side of the CAPSURE’s hardened plastic body, you’ll find a smooth rubber grip to ensure you don’t drop the instrument. 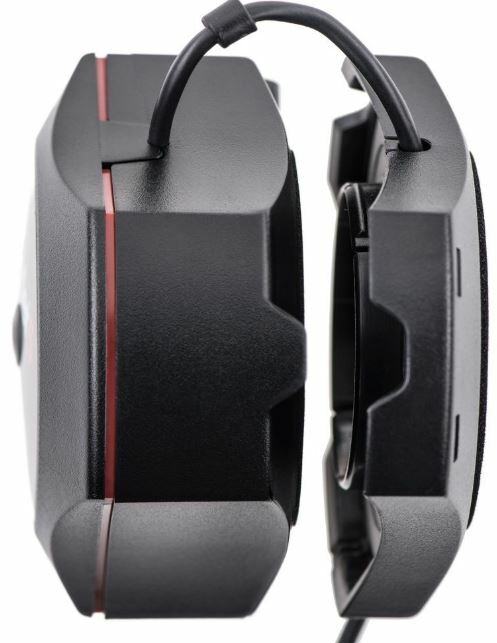 While there isn’t a carrying strap built into the body, you can install a wrist strap at the base of the device. On the front of the Pantone CAPSURE Color Matcher, you’ll notice a modestly sized 1.75-inch color screen you can view your samples on. It’s not exactly an iPhone display, but it provides all the readability and necessary for taking rapid and accurate measurements. The CAPSURE can save up to 100 color captures. It keeps them recorded along with a time and date stamp, as well as the option of a voice recording, to help you identify them within your records. Even amateurs using the CAPSURE will find it’s easy to match and display any set of colors, or cross-match essentially every type of material or surface you encounter. As you finish measuring, captured colors are integrated into QuarkXPress and Adobe Creative Suite, for easy accessibility. 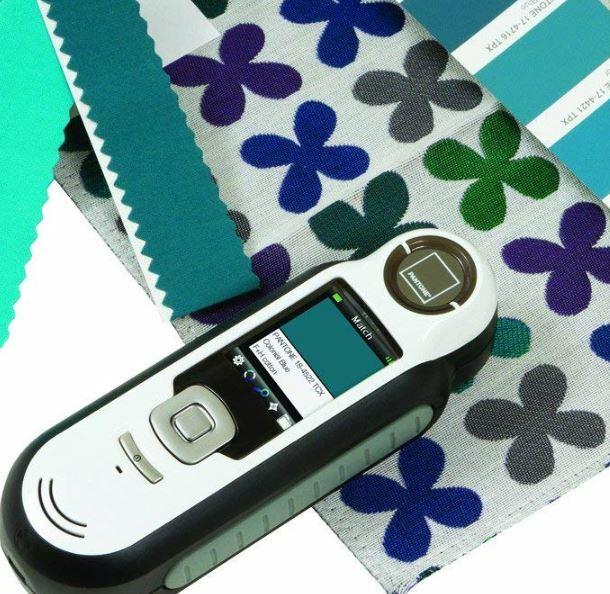 The Pantone CAPSURE Color Matcher includes a protective carrying pouch and a wrist strap for dropping protection. It also includes a USB charging cable, their Palette Application software, and a brief guide to get started. With the simple operation of the CAPSURE, you can quickly discard the guide, but the rest of these extras can be quite handy. 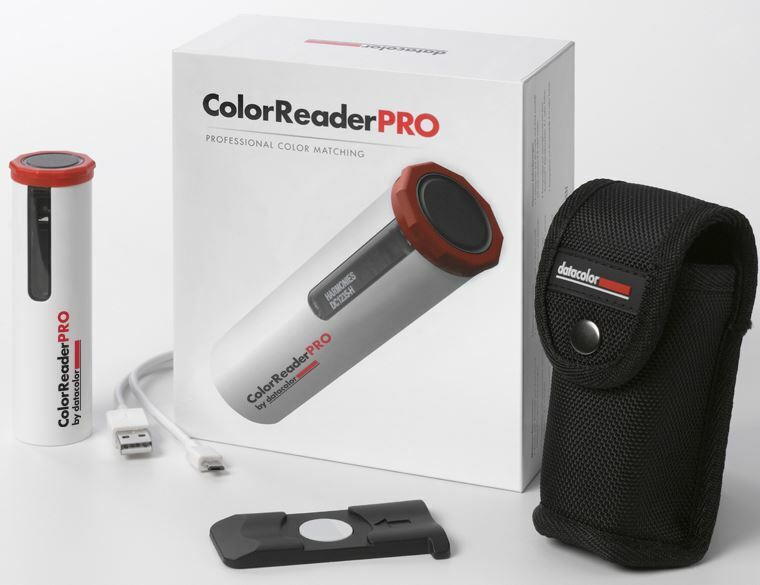 The Datacolor Color Reader PRO is a mid-ranged color reader, about one full step above introductory colorimeters. It’s build for general use, with a slight emphasis on those working with paint and painting. If you drop significantly below the price range for the Datacolor Reader PRO, you’ll see a huge drop in both simplicity and accuracy of instruments. That makes the Datacolor Color Reader PRO an excellent general colorimeter for someone who needs a serious tool, but isn’t involved in extensive industrial colorimetry. The PRO weighs just 12.3 ounces, with a slim 6 x 5.3 x 2.9-inch that’s scarcely bigger than a knife. The Color Reader PRO retaining a high degree of portability is just the beginning, as its circular build rests comfortable in your hand as you aim the PRO for testing. It includes an impressive OLED display which allows you to get standalone use from the PRO without having to involved other tools and software. And the PRO is powered by a rechargeable lithium-ion battery, providing hundreds of measurements between each recharge. The Datacolor Color Reader PRO offers color accuracy in excess of 94%. 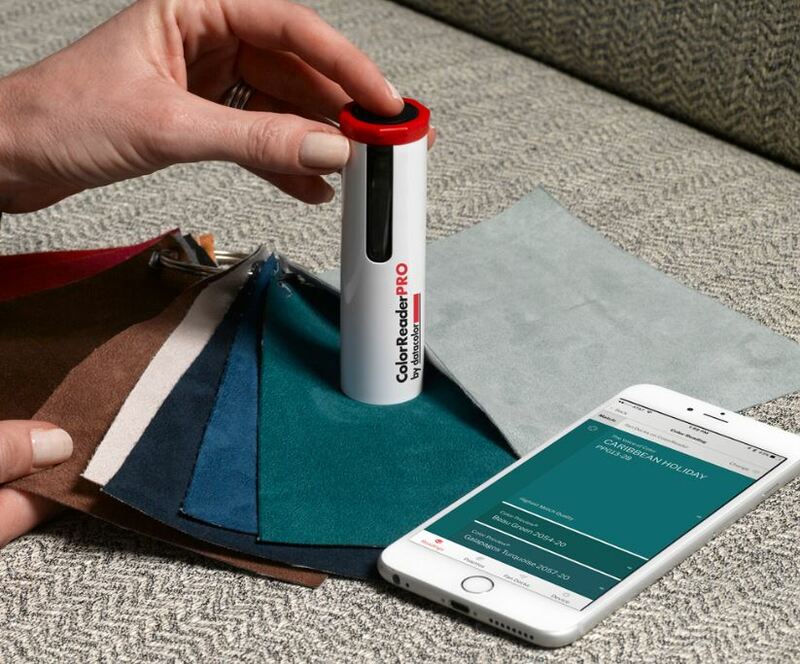 You can connect the ColorReaderPRO to your smartphone with their free app and pull data straight to your phone. The PRO also includes paint colors from a dozen major paint manufacturers, ranging from Ace to True Value. That makes it great for making easy matches between various colors of a brand, or the colors of some color palate. 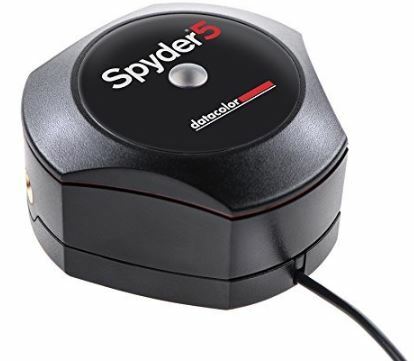 The Datacolor Spyder5ELITE was made with photographers in mind because it offers the kind of color accuracy you need for taking your work to projectors and monitors. Allows people to see your images as you intended them to be seen. And it’s good for measuring and calibration, so prints match your monitor, and your image colors remain true to life. Over the long term, this can save anyone who works on panel screens quite a bit of money and effort. The Spyder5ELITE also includes versatile software to help calibrate the color of a panel, consisting of both an expert mode for hands on operation and a wizard that can take you through the basics. Within you’ll find a limitless range of calibration settings, including gray balancing. The Spyder5 takes only a few minutes to do the work necessary to ensure color accuracy. The Spyder5ELITE is a pretty good example of a tool that’s made for a highly specific purpose. The top of the Spyder5ELITE opens-up as though you were removing an eyelid. The Spyder5 is then built to smoothly hang and dangle in front of a panel to capture its colors. The webcam-sized build of the Spyder5 makes this transition smooth, and without risk of marking your screen. Obviously, the Spider5’s eyes can be turned to projects beyond those found on screens, but it’s USB-based screen-sized build clearly was intended to be used for LCD panels. It’s essentially as portable as whatever computer you’ve plugged it into, but carrying along your laptop isn’t quite as elegant as something you can simply hold in your hand. 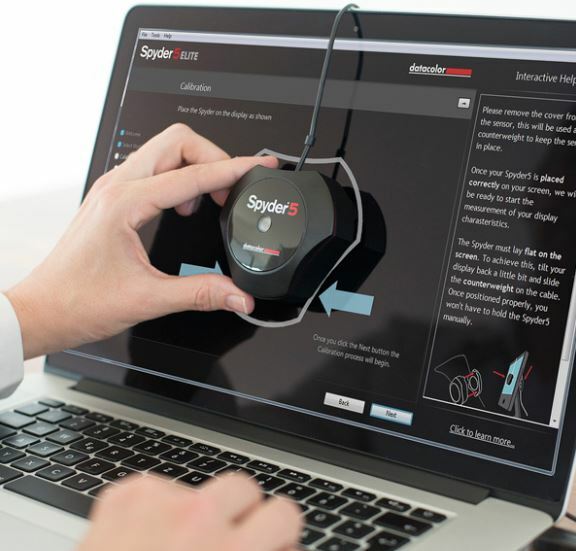 Within the Spyder5, you’ll find unlimited calibration choices. You can establish the color calibrations used by your organization specifically, personal settings, or meet whatever standards you’re trying to meet. As its name suggests, the Spyder5 supports five ambient light settings. Not having to have ambient light in highly specific circumstances gives Spuder5 incredible versatility, especially when using brighter display panels. For the highest accuracy and the most convenience, it’s an essential feature. The Spyder5ELITE also offers room light monitoring, which helps determine the optimal brightness for a monitor to see the finer details of an image. You can get a better look at the detail of shadows, and the highlights of your images, provided only that you bother to use the tools the Spyder5 has provided you. You can even get a before-and-after shot of every calibration change to see the difference in real time. And finally, calibration is easy thanks to the wizard software which can take you through things step by step. For people who have monitors with wider color a wider color gamut, SpyderMatch and SpyderTune can tune all your monitors with gamma, brightness, white point. That makes the Spyder5 a great accessory for designers. 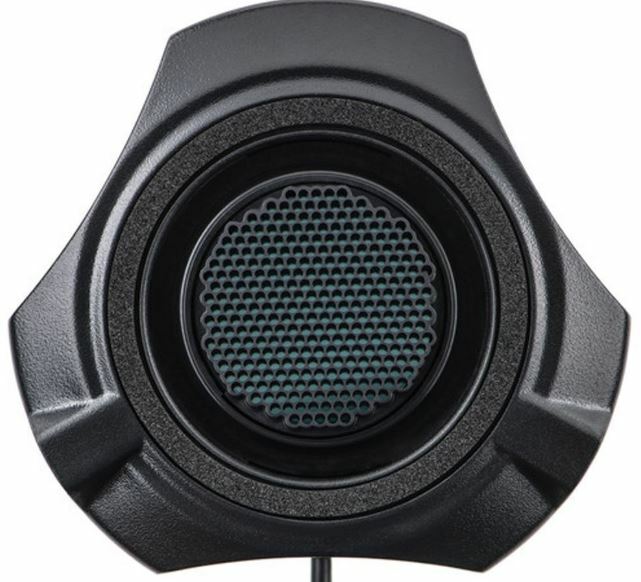 For gray balancing and calibration, the Spyder5ELITE is a critical tool. It operates via USB port, and supports all major operating systems made in the past decade. That includes Windows 7 through 10, and Mac OS X 10.7 and beyond. The Spyder5ELITE a handy storage box for the unit while you’re not doing tests, and an Adobe Creative Cloud Photography 90-day trial. The Datacolor Spyder5ELITE is good for anyone working in the space of computer monitors or televisions. When color accuracy matters, you need your projects to look the same from one monitor to the next. Provided you want it to be seen, you don’t want your work to be restricted to the specific settings of your panel. That makes the Spyder5ELITE an essential tool for photographers, people who work in AV, and anyone who wants a well calibrated panel. 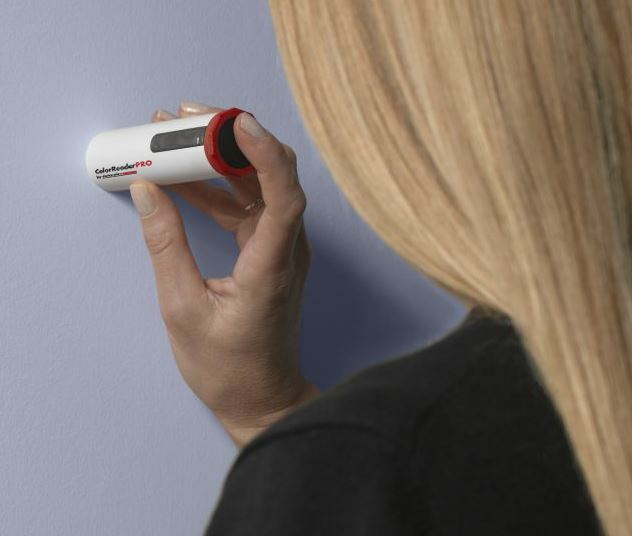 The Spyder5 could be used for other tasks, like measuring paint colors, but its USB-based design is far from truly portable. The Datacolor Color Reader PRO is a good essential tool for an architect, interior designer, or someone who works with painting. It comes loaded with countless colors from major paint manufacturers. And its accuracy is strikingly high. People who need professional quality colorimetric readings without industrial quality prices will want to carefully consider the PRO. It’s the most portable colorimeter on this list, ideal from moving from one site to another for taking measurements. It’s a friendly choice for inexperienced users as well, with a calibration process that’s almost as simple as checking your email. The Pantone CAPSURE Color Matcher is a top shelf instrument. As a colorimeter, it which would be at home among the biggest quality assurance operations in the world. It offers detailed annotations for color captures, which make it easy to take speedy consecutive measurements. It comes preloaded with PANETONE colors, Adobe RGB, sRGB, and XYZ values. You can scarcely ask for more features than the Pantone CAPSURE Color Matcher can offer. For the highest possible quality and widest range of features, it’s your best choice.